A standard automobile costs more than $ 30,000 these days and the average monthly installment on a car loan, with a six-year repayment, works out to around $430 per month. If taxes, fees and insurance premiums are included, the average monthly cost of a car is comparable to that of a home mortgage payment. Considering that people are spending a lot of money on cars, there should be a greater emphasis on car maintenance. They need to review once again various aspects of ‘car care’ that will enhance not only the life of the car but also minimize expenses on car repairs. Unfortunately, people are so busy that very little attention is paid towards car upkeep. If proper care is not taken, various parts of the car can get rusted, a common feature in America and dirt can get accumulated on the car leaving scratches and cuts on the car. However, with regular car care, rust can be prevented and with regular car wash the, car will look clean and shining. Several clinical studies and research by the three large automobile producers have shown that elements of nature, whether it is salty water of ocean or ocean breeze, gas emissions from industries or acid drops, snow of the hilly region, fragments from rocks and rubble on the road, are responsible for damaging the car’s finish and corroding various parts of the car. As the metal on the car is mainly protected by a very thin layer of primer and paint, it is highly susceptible to corrosion when electrons of the metal disappear as soon as the thin layer of coating wears out. The following guidelines may be useful for prevention of rust and taking good care of the car. The ideal method of avoiding corrosion is to protect the paint on the car. A good car care involves steps to protect the paint as well as retain the gloss on it. It has been established by AAA (American Automobile Association) that a proper cleaning and waxing once in two months as a matter of routine would considerably reduce the incidence of rust. A customary cleaning will eliminate dirt and other impurities, which will damage and scratch the paint. Car wax or car polish will form a stronger greasy surface that will be more resistant to vagaries of nature and stop moisture, which is responsible for corrosion. For best results, one should apply car wax on one portion of the car at a time and allow it to dry to form a film of coating and then buff it off. The process should be repeated twice or thrice for best possible protection. Those who apply car wax regularly, as part of their car care schedule, the incidence of corrosion will be much less. If a scratch, cut or chip is observed in the paint, one must make it a point to treat it well. Matching touch up paint can be obtained from auto stores or dealers by using the paint code. 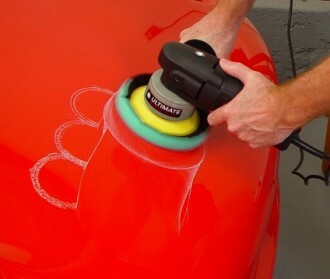 A small 1oz bottle of matching paint would be sufficient to touch-up the scratches. A tooth pick will be useful to touch up the paint wherever there is a scratch or cut and the exposed metal should be fully covered. After car polish and touching up the paint, a clear coat touch up paint should be applied to eliminate moisture and stop formation of rust. In case of urgency, even nail polish can be used to cover exposed metal. If rust has already formed, the car care and treatment becomes more complicated. A sand paper or any abrasive material should be used to remove rust from the corroded areas and leave those portions as it is for some time. Those parts are then treated with anti-rust chemicals which will act on the rust altering its chemical and electrostatic composition. After that it should be sanded down again with abrasive material or cotton wool, premier applied and then painted. Considering the intricacies involved in modern automobile paints, it is better to entrust the complicated job of removal of rust and car care jobs to experts in the field. Most of the auto workshops will be happy to undertake these types of jobs. They will do a satisfactory job with guaranteed results. It is possible to prevent rust and retain car finish by using a car wax and looking after the car properly based on well-drawn out car care schedule. 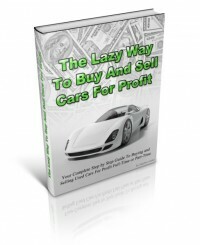 Hobbs’ guide will show you how to take care of your car paint surface which will increase its market value. For more useful tips, click on the link below to visit his web site right now.